Nestled in the tree section of Manhattan Beach, this small contemporary house sits a few feet below street level. The owners hired Segal Shuart to create an outdoor living room and garden space – suitable for their young daughter, dog and their busy entertaining lifestyle. 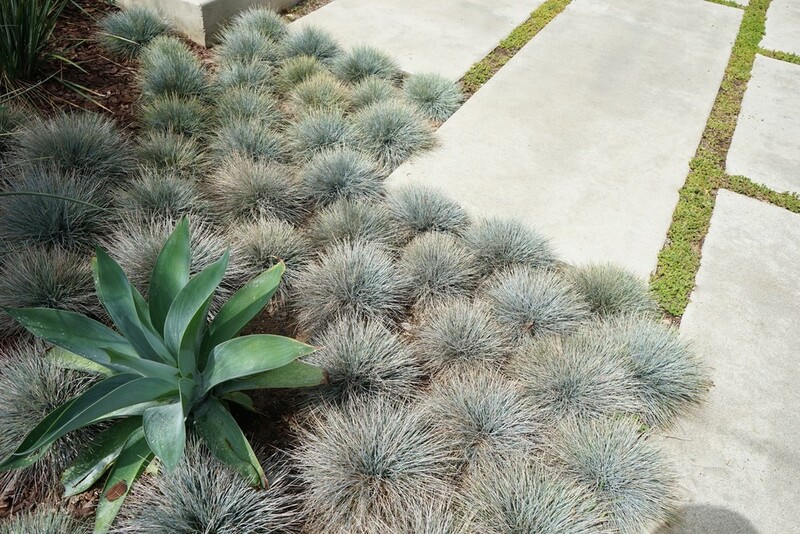 They asked to have a garden that was private, low maintenance, drought-tolerant, playful and vibrant. A contemporary redwood fence and lacy hedge were added to increase privacy, a palette of colorful, water-wise planting, a built-in bench to match the gate and fence, a built-in fire pit for those chilly, seaside evenings, a flowering tree, poured-in-place concrete pavers, and contemporary lighting all came together to provide them everything on their wish list.